No matter what you and I may be going through, or what we may face today, remember, everything here on this earth has a purpose – for a specific time, season, and a divine reason for which something is done or exists. 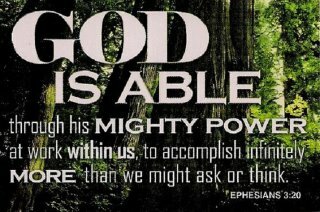 God is in total control. He knows the beginning, He knows the end and likewise He knows the in-between. So all over the global stratosphere and the hemisphere, let us purposefully and intentionally put aside our differences, stop the racial profiling, the political bickering, stop the hate, the crime and begin to unite as a people, a nation under God and as the one true living and ONLY Lord of our lives. Blessings Janelle! Happy New Year! Thank you Yolanda! We give thanks unto the Lord and glory to His name. I hop over to your blog all the time and do enjoy what I read there also. Happy New Year my sister in Christ.